Norfolk's broad horizons, open beaches and old fishing towns will be the location for our 5 days of painting on location. Offering a good range of subject matter from farm and marsh land, beaches, boat yards, windmills and a wealth of historic buildings, we will base our week around Wells next the Sea. There are so many great spots to paint, we won't know where to start! The area: We will be spoilt for choice in this part of Norfolk with so many beautiful locations and villages nearby. We are just a stone's throw from the iconic Blakeney with its nature reserve and boat moorings, the wonderful Burnham, Morston and Brancaster Staithes are close at hand and there are plenty of picturesque villages and views in between. 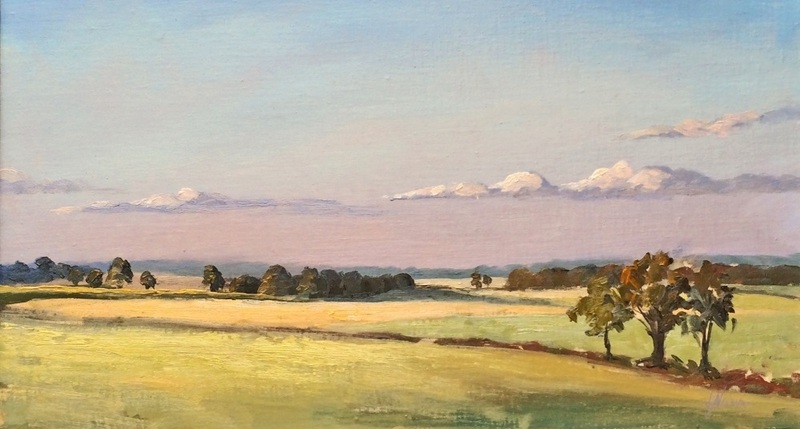 The broad open vistas all around give ideal opportunities for painting those classic big Norfolk skies. The beautiful beach at Wells is bordered by pine woodland and beach huts and the town itself, filled with old streets and architecture will provide a broad range of subjects for us. The many cafes, restaurants and pubs will ensure that we are never short of refreshments. If you're travelling over to the East Coast to join us for this trip, there are plenty of nearby accommodation options to suit every taste and budget. Here's a link to Visit Norfolk to get you started. Each day we will gather in a different location. Arrangement for parking and travel will be made in advance so that we can easily meet up and get started in the mornings. We will select a diverse range of locations to accommodate a breadth of styles and preferences within the group. From wide open landscapes to intimate villages, we will find something different each day.